The Lashkar-e-Islam denied having links with the doctor who was imprisoned for aiding Osama bin Laden. The military denied reports that US trainers have re-entered Pakistan, and said it successfully tested Hatf-VIII, a “stealth” air-launched cruise missile. The UN nuclear inspection agency showed satellite imagery indicating that Iran was attempting to clean up a possible nuclear weapons site. UN inspectors had previously requested access to the site but had been denied. Insurgents killed 18 Iraqis and wounded more than 50 in six bombings in Baghdad. The bombs were detonated near a restaurant, at policemen’s homes, and as a police patrol passed by. A police major was killed in a shooting in Mosul. 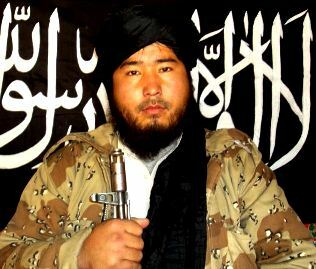 Commander Abbos Mansoor was named the military emir of the Islamic Movement of Uzbekistan just days before he was killed in a drone strike, while Abdul Aziz served as a combat cameraman and producer for Jundallah Studio. Four al Qaeda in the Arabian Peninsula fighters and three Yemeni soldiers were killed in fighting in Rada’a in Baydah province. The Houthis said that they would conduct peace talks with the government. Dozens of Houthis and tribesmen were killed in clashes in Hajja.